Today you can get our newest product: moirai Sequence. Sequence is a great utility for proofing large sets of photos. You pick all of the images you want to work with, and then it loads them for you, one at a time, to proof. It’s a great time saver when proofing a lot of shots from a big photo shoot or from multiple shoots. 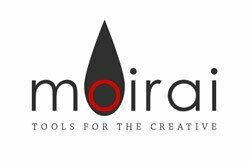 We’re also packaging Sequence up, along with our famous Compositor, in a suite called moirai Encompass. If you buy Encompass, you save some dough compared to buying the two individually.